Triethanolamine is an organic compound that is comprised of ethylene oxide and ammonia. This chemical compound is commonly found in a number of cosmetic products and is also used in several different medical applications. In cosmetic uses, triethanolamine is used to raise the pH of certain mixtures, as well as acting as an emulsifier (to help various ingredients mix better). This chemical is usually colorless or light yellow, and can have a faint ammonia odor. The texture of triethanolamine is usually very thick, and it can turn into a solid or crystallize at room temperatures. This means that it cannot be added to all products effectively, such as anti-aging serums, as the texture can reduce the ease of application to the skin. Triethanolamine has a number of warnings associated with it, which may become a concern for those who use products that contain it on a regular basis. Triethanolamine can most often be found in cosmetics such as eye shadow, mascara, eyeliner, fragrance, foundation and concealer. Sometimes, it is also added to hair care products such as hair dyes, wave sets. Triethanolamine is also common in moisturizers, shaving creams and gels, as well as sunscreen formulas. Its main use is to balance the overall pH of a product, but it also works as an emulsifier that helps products retain a more homogenous appearance and to spread creams more evenly over the skin. This is especially important for cosmetic products so that they do not lump or cake on the skin. In most cases, products containing triethanolamine are not meant to have prolonged contact with the skin and should be washed away daily. Keep this in mind if you are going camping or on road trips, where you may not have access to adequate facilities to cleanse your skin. While the FDA has approved triethanolamine as being safe for use, the organization also recommends that any product which contains this chemical should have no greater than a 5% concentration in order for it to remain safe for use. Despite its many uses, triethanolamine is moderately dangerous to the skin if it is applied on a long-term basis. If you have any concerns about the dangers of triethanolamine, there are a number of ways to lower your risk of exposure. Although triethanolamine is used in a number of different cosmetic, health, and beauty products, it is also considered moderately dangerous. Despite FDA approval, it should never be used long term, as it has been proven to have detrimental effects on human skin, on the immune system and has been classified as a respiratory toxicant. Clinical tests show that high doses of triethanolamine have caused liver, bladder, and testicular cancer in laboratory animals. While these results are no doubt a cause for concern, there are several ways that you can avoid long-term exposure. When using products with triethanolamine, such as cosmetics, you should invest in a quality makeup remover instead of simply washing your face with warm soap and water. 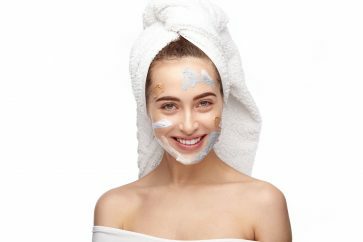 Daily face cleansing with soap may not remove all traces of the cosmetics, which could increase the risk of long-term exposure to triethanolamine, especially for the delicate skin around the eyes and the mouth. If you use cosmetics such as eye shadow and eyeliner that contain the compound, be sure to completely remove the product each evening with facial sponges and avoid using makeup with triethanolamine that’s marketed as wearable for 24 hours or more, as such claims are misleading. There are also a number of short-term side effects associated with triethanolamine. Allergic reactions are common and can cause watery or itchy eyes, brittle or dry hair, and itchy skin. In the long term, this chemical can cause damage to the skin that includes scaling, blisters, and a burning sensation when the products are applied. If you believe you are allergic to triethanolamine or have any concerns about its effects on your health, discuss its uses with your dermatologist. Triethanolamine is a commonly used ingredient in cosmetic products. Mary Kay, Kate Somerville, Arbonne and Strivectin, Meaningful Beauty and Boots No 7 are some of the brands that use this ingredient.